I never really knew how to dance. This dance. So I (unintentionally) kept stepping on your toes. When you first came up to me and asked me, "How's it going?" I just gave you the most sheepish grin. Because I really didn't know what to say. Sorry I walked away. When you first called me and asked me, "What are you doing?" All I could say was "Nothing." because I was really doing nothing. We never got past that, there was complete silence and a click. I'm sorry I hung up. The next day, you invited me to watch a movie. I figured, why not? Watching films doesn't require talking. You probably knew at that point I'm not good at that. When you first asked me, "What do you think of the movie?" I muttered, "Good." Because it was really good. Actually, it was great but I was not yet ready to let you see me gush about a freaking movie. Then you went on and on about how cool it was and I barely heard you discuss about colors and textures and soundtracks, I was looking at you, and I can now see you. When you first told me, "Let's have lunch." I said, "Okay. I know a great place." Well, I love food so I should know at least one great place, right? You gave me that funny puzzled look when I called out that you can't touch the food unless I've already taken photos of it. I laughed and told you, "Yes. I'm one of those people." You smiled then asked if I wanted to have my photo taken too. "Well, yes." When you first messaged me if we could have dinner, I never replied. I'm sorry. When I first saw you after not seeing you for quite a while, you just sat beside me and told me how your day went. I only half listened. Not that you bore me, I was just thinking of all the things I wanted to tell you. But I never did. All I said was, "It was really nice seeing you today." I don't know if you thought I was only being polite, but I did mean it. When you first saw me after work, waiting for a cab, looking exhausted and frazzled, you smiled at me and asked me if I wanted to eat breakfast, I almost wanted to run away from you at that very moment but fried rice and over easy eggs sounds like a wonderful idea. 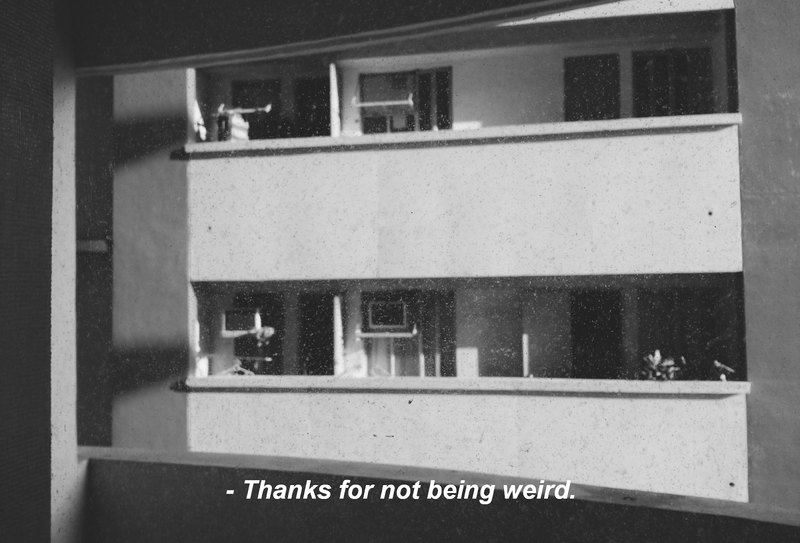 When we first sat alongside each other, you whispered to me, "Thanks for not being weird." Funny, that's what I've been wanting to tell you all along.